These are tough times for new PhDs, as the job market continues to suffer from the current global economic downturn. Yes, full-time teaching positions may be hard to come by, but there are a few postdoctoral openings being advertised. 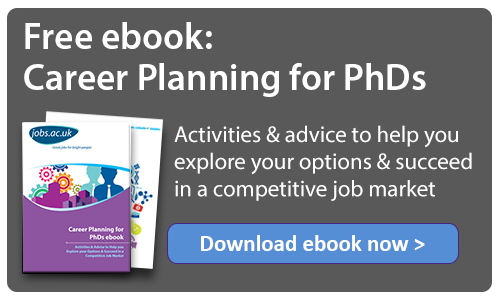 If you are close to finishing your PhD or have just finished, and you are thinking about life in academia after PhD, these tips may help in your search for a postdoctoral position. Paul Ugor finished a PhD programme at the University of Alberta, Canada, in 2009, and has just started a Newton International Fellowship funded by the British Academy, at the University of Birmingham. He says he picked the postdoc route because of his hunger for research in addition to his interest in Birmingham as a renowned university for cultural studies. Dr Ugor points out that he also knew the choice of a host supervisor was crucial to a successful application for such a highly competitive fellowship like the Newton. He advises prospective postdocs to first think through where their post-PhD research interest lies by attending research job workshops and talking to current postdocs about how to write a successful research proposal and how to scout for postdoc supervisors. A postdoc proposal is not something you can put together within a week and Dr Ogwu says the key here is early preparation, as his own proposal took several months. You may have to write and rewrite, and it is also worth your while to show your drafts to recent postdocs and senior academics alike, who can advise and make inputs. Dr Ken Emond is the head of research awards at the British Academy, he says assessors will judge an application on the basis of their scholarly importance first and foremost, and that they are looking for new PhDs who are able to show the highest degree of promise for a future academic career. Experts advise that a postdoc fellowship should not just be a continuation of your PhD thesis but that you should be typically proposing to work on a second major piece of research. Assessors will therefore be looking at how your proposal will enhance the field of interest of the application, originality, and what the proposed outcomes will be in terms of publications and dissemination of results. Experts point out that common mistakes made by applicants include not reading and answering the questions being asked. Being over-ambitious in their expectation of what can be achieved in the timescale of an award. Other mistakes include lack of clarity and focus in research proposal, as well as not putting the relevant research outputs up front - that is authorship on papers, presentations at conferences and grants written and helped with, whether funded or not. If the application process involves an interview, Dr Joshua Z. Rappoport, a senior academic at the University of Birmingham, advises that you should do the relevant background reading for the particular project before the day of the interview. He suggests you should show the interviewers that you are genuinely interested in what the department you want to work with does, and that you should be confident in your own ability without being arrogant.